Sabbath Walk: Darkness - To Avoid or Embrace? Darkness - To Avoid or Embrace? TITLE: DARKNESS - TO AVOID OR EMBRACE? Depression is in a way, a journey into darkness. For many, it is a descent not an ascent. What troubles me is the uncritical acceptance among people to avoid darkness at all costs.This week, I want to reflect on depression not simply as a descent into darkness. When we learn to embrace it with Christ, it can very well be an ascent to the light. The world mourns the suicide-death of Robin Williams. Major news agencies and television channels cover the story feverishly. Social media buzzes with multiple sharing of posts. Pop stars chime in with their tributes and memories of the popular actor-comedian. Even scientists and medical professionals have entered the fray to discuss the causes, the fears, and the need to seek help during times of depression. The common thread among all is that depression is bad; it is something to be avoided like the Ebola virus; it is to be treated like a disease. What is depression? Is it a walk in the dark? A) Too Little Too Late? Suppose it is a disease to be eradicated, sometimes I wonder why we talk about things only when it is too late. Like government agencies that tightened up their security checks when there is a breach. Or banks that install new procedures when a loophole was exploited. Or the revamp of some medical procedures as a result of a fatality. Or pharmaceutical companies that stop making profits off a controversial drug only after a major scandal. We are creatures that only learn when bad news arrives. Such a phenomenon is everywhere. Just take a look at the infamous 9/11 terrorist attacks. Before the attacks, traveling was a breeze with laughable security systems. Post-9/11 travel went to the other extreme: Police state style frisks at various checkpoints. If depression is a cause for suicide, prevention is definitely better than cure. I remember some movies where a protagonist was about to take her own life by jumping off a tall building, only to have flashes of smiling loved ones that she would be leaving behind. With scenes interspersed with the pros and cons of killing herself, she was caught literally at the edge of life and death. All it takes is a leap of death and everything will be no more. She never jumped. She saw that suicide is not the final move. She decided to give life one more chance. For those who had connected Williams's death to depression, note his wife's comment that, "Robin's sobriety was intact" at that time. I was moved when I read about Robin Williams altruistic acts. In his blog, Brian Lord shared his experience about the late actor “using his clout” to make sure that his co-partners and workers in any project he was working on will give people a chance to make a living. In one incident, Williams required the film companies and their associates to hire a specified number of homeless people to work on the set. The project may be temporal but it helped to bring some hope to the homeless people hired for the short term work. It gave people a chance to get back on track with dignity and pride. Many people remembered Williams for his Oscar winning performance in “Good Will Hunting,” his inspiration to teachers and poets in “Dead Poets Society,” and the loads of laughter in “Mrs Doubtfire” and stand up comedies. Not many know about the troubled person within himself. Like many in the world, people only started to talk and discuss only when it is too late. If depression is indeed a journey into the dark, then we too are very much in the dark about depression. In the dark, we easily misunderstand. This leads to misdiagnosis and unhelpful attributions to wrong causes. Some make a link between comedians and depression, like Time’s article about “Why the Funniest People Are Sometimes the Saddest.” Medical experts talk about the clinical problems surrounding depression. Some even links social media use to depression. The death of Williams also prompted open sharing from well-known persons across all industries. I know of friends, whose loved ones painfully took their own lives. Still, there are people who link depression to all kinds of things like loneliness, lack of communications, self-centeredness, hidden personalities, and so on. The truth is; depression is not one giant target that can be accurately solved with a bulls-eye shot. There are no silver bullets. Scientific American also warns us that "depression alone rarely causes suicide." The reason for the mountain of opinions is simply this: Depression or its associated causes are complex conditions. That is why we must not begin in error to think that there is a silver bullet solution to everything, including depression. For the Christian especially, we must be careful not to use Scripture verses as if they are magical antidotes to our human conditions. 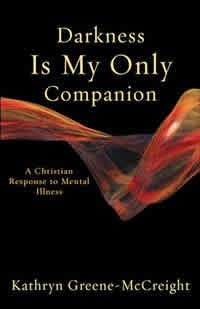 For there are many believers, pious Christians who can fall prey to depression and all its nasty effects. One such simplistic solution is the industry of positive talk. A multi-million dollar industry, self-talk experts conduct sellout events for people all over the world. One of them is the popular Joel Osteen who is in Vancouver BC this weekend. Called a "Night of Hope," the prosperity and feel-good preacher has charmed many people, including believers into paying lots of money for his talks, products, and messages of hope. Do a search on the Internet and you can easily see glimpses of his communication skills and hopeful messages. Personally, I don't buy his message. However, a lot of people do, which is why Osteen is increasingly rich and famous. Depression is not easily detected. There are no litmus tests or psychological profiles that can determine one’s state of mind quickly. Even loving couples can miss the signs of depression in their own spouses. Very often, depression is a journey into darkness by one who feels utterly alone and helpless. In clinical depression, drugs may be prescribed, but that is only part of the healing process. It needs to be addressed as holistically as possible. We must not look for simplistic answers to a complex problem. For if depression is a journey into darkness, it raises more questions. Where is the person in the journey? Is it at the beginning stage? How deep and how often does the feeling occur? Is it in reaction to certain things? Is it due to some hidden past or a distant memory brought near? Is it hormone related? Is it due to some addiction? Is it due to a broken relationship? Is it a combination of them all? For in depression, questions outnumber answers millions to one. In a dark journey, how can those outside ever understand the sentiments of the one groping in the dark? If helpers are not careful, they may be causing more harm than help. Even a torch of help can become a light that blinds. Leave it to the professionals. Leave it to the loved ones. Leave it to God? C) A Journey to Avoid? This is counter cultural. I believe one of our difficulties in dealing with depression is because of our tendency to behave like runaway bunnies. We run away from everything, especially from the bunny mummy. In fleeing from all things dark, we may unwittingly miss out life's lessons that can only be appreciated in the dark. I remember trying to show movie clips to an audience. Due to the quality of the clip, the best way to maximize visibility is to turn off the room lights. 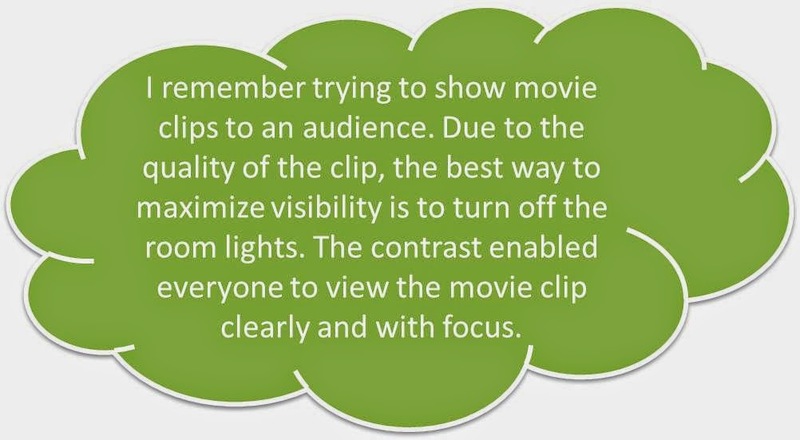 The contrast enabled everyone to view the movie clip clearly and with focus. The human eye also has the amazing ability to adjust to varying shades of light. Under bright sunlight, the pupil constricts to limit the amount of light entering the eye. It protects the eye. In the dark, the pupil grows wider so as to maximize the intake of light. I find that remarkable. The lesson for me is, in the dark, our spiritual pupils are wider to the things of God. The lights of the world can glitter, but they can also blind. In contrast, the darkness we face is not necessarily a bad thing altogether. For all we know, it is something healthy for us to embrace, not to flatly reject. When in the dark, it is not the condition we are in but the companion we have that is most calming. Remember the Shepherd Psalm that teaches us "even though I walk through the darkest valley, I will fear no evil, for you are with me; your rod and your staff,they comfort me." (Ps 23:4). Remember Paul who declares that nothing will be able to separate him from the love of God? Remember how confidently John describes the light of Christ? Is that not comforting? That even when we are in the dark, we can trust that the dark can never overwhelm or overcome the light. For the light is not a solar device. Neither is it merely a way to avoid the dark. The Light is Christ who is the One who overcomes all things. Even when we are in the dark about things, when we are in the hands of Jesus, we can proclaim aloud: "God is light, in Him there is no darkness at all" (1 John 1:5). Even Jesus Himself went out to pray when it is still dark (Mark 1:35). Darkness is a companion, according to Kathryn Greene-McCreight, a theologian who pens an incredible book about journeying in the dark in spite of her ill mental health. She reflects on the three "cords of sanity" for people walking in darkness: the religious; the psychological and the medicinal. Her aim is to learn to see the working of God in spite of our darkness. I do not want to make light of the dark path to depression. I am not saying that depression is something to be trifled with. What I am saying is, depression is a complex condition that requires not just lots of help, but a wider sense of perspective. Do not call all dark as bad. Neither embrace all kinds of light as good. For just as there are glittering lights that deceive, there are also moments of darkness that illuminates. Think of people hiding in the dark to escape capture. Think of the beautiful night in the park where only in total darkness can we see the stars in the sky. Think of the added perspective of NOT fearing the dark. When we move away from phobia, we are more open to talk about it. We can share it more willingly. We can embrace it more constructively. Depression is not easily understood. Even as we seek conventional ways to deal with the different levels of depression, do not dismiss the dark altogether. After all, it is not about the light or dark. Even the happiest people on earth have their dark moments. We cannot help it. The world of sin is dark. That said, while we cannot control what happens to us, we can at least learn to adopt a posture of listening, sensing, and paying attention to what God is saying to us under ALL circumstances. Do not use the hammer of avoidance as if all journeys in the dark are nails to be smashed. See all things in the light of Christ. That there is a time for everything. There is always a time for Christ to lead us. For if Christ is leading us, even when we are in the dark, what is there to fear? For all we know, it can very well be a start of a life of living in faith, not fear.